"The Statement D2v 3D is a great example of a product that was designed with high performance in mind. The Statement D2v 3D doesn’t have all the latest features, but it delivers excellent audio and video performance for both two-channel stereo and multi-channel music and movies alike." The Statement D2v 3D includes Anthem Room Correction using the ARC-1 RS-232 serial-interface. The Statement D2v 3D performed very well on the bench with very low distortion measurements. The Statement D2v 3D includes a Sigma VXP video processor, supports HDMI v1.4a, and offers a video passthrough mode for use with 3D and 2D video. The sound is reference quality with excellent detail and a wonderfully silent noise floor. This is most likely the last upgrade we’ll see on this generation of the Statement D2v hardware. 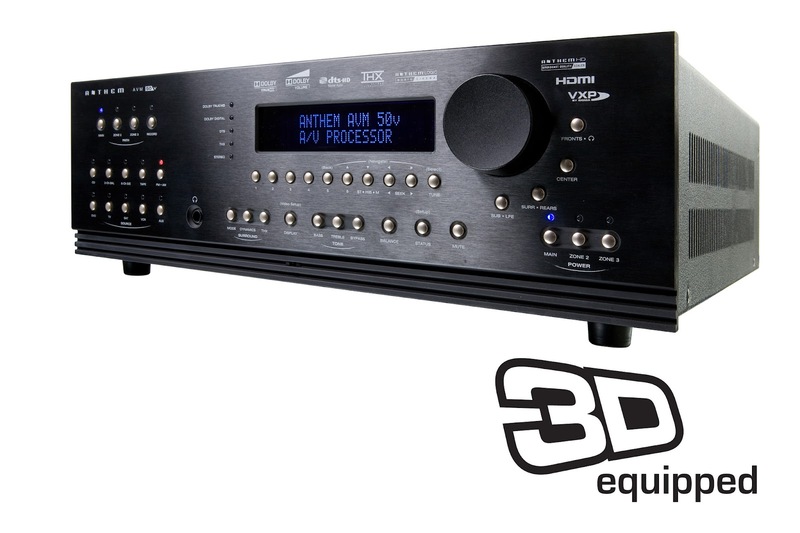 "The Anthem Statement D2v 3D continues to be a reference quality component that delivers outstanding audio performance. Its feature set is unique among the high-end processors since it contains a superb video processor and Anthem Room Correction"
Click here! to read the full D2v 3D review from Secrets. Click here! to learn more about the Anthem D2v 3D.